Beginning with the 1991 edition of National Fire Protection Association (NFPA) 1901, Standard for Automotive Fire Apparatus, safety has been a focus for apparatus design. Over the years, the NFPA addressed many of the issues facing the industry. A number of Fire Apparatus Manufacturers’ Association (FAMA) member companies sit on the NFPA 1901 committee and worked with other members to draft safety improvements. However, many FAMA companies go above and beyond the NFPA 1901 standard and have initiated many apparatus safety improvements. Many of these improvements we take for granted today but, as we look back in history, it is amazing how far we have come. This article will feature some of the highlights of both the NFPA and industry improvements over the years. Since 1991, the most significant improvement was the fully enclosed cab. Some of the younger members of the fire service may not remember when custom cabs were open to the rear with jump seats on either side of the engine. Firefighters were exposed to noise and the elements on the way to a fire. The enclosed cab brought improved firefighter safety in the event of an accident plus improved comfort and communication. Sirens and air horns were moved off the roof to low and in front of the apparatus, reducing noise and improving communication for firefighters. Tilting and telescoping steering wheels helped accommodate the diversified range of firefighter sizes. Since 1996, safer mounting of equipment in the cab with interior equipment mounting criteria and interior compartment performance standards have helped reduce injury. Requirements were specified for mounting self-contained breathing apparatus (SCBA) in cab seat backs. Type II shoulder harnesses are now required for outboard seating positions. Beginning in 2003, another milestone in cab design saw side rollover protection air bags for firefighter safety. Red/orange seat belts are now required for better identification by responsible drivers and officers. Minimum head clearance in the cab seating positions increased. Reflective material is required inside the cab and crew cab doors. Additionally, there is now cab integrity testing—roof crush, frontal impact, side crush. Since 2009, seat belt warning devices and vehicle data recorders have been required as well as displays that show who is belted and who is not and are visible to driver or officer. We also saw the first implementation of front driver and officer air bags. Beginning in 1991, air disc brakes became available, reducing stopping distance and eliminating brake fade. Automatic tire chains, which provide tire traction in adverse weather conditions, improved through remote activation without stopping the vehicle or leaving the operator’s position. Air ride suspension has improved ride quality, and the system’s height adjusts to the load. Made higher horsepower and torque possible. Since 1996 an auxiliary braking device has been required for safer stopping. Antilock brakes became standard for safety. In 2001, the first independent front suspension was introduced. Ride quality improved, cornering stability improved, and the cab structure sees less shock. Beginning in 2007, we saw improvements in braking with roll stability control—brakes are applied based on aggressive cornering, reducing the potential for rollover. Electronic stability control improves vehicle control during emergency braking. A variety of idle reduction systems have been introduced that improve emissions and fuel economy while reducing wear and tear on engines. Electrical systems are undergoing more changes than any other components on fire apparatus. Although these changes might not all be considered safety-related, they do improve the operation of the vehicle. In the 1990s, line voltage systems were improved—PTO and hydraulic generator interlocks and indicators provided improved safety and performance. Installation methods were specified for generators and wiring. National Electrical Code (NEC) requirements were specified for improved safety and quality. Frequency and voltage ranges were specified for consistent power quality. Test criteria was established for wiring, power supplies, and equipment. Power supplies were tested for two hours with the fire pump operating to validate operation as used. On the 12-volt side, audible warning device and warning light performance standards were introduced including four lighting zones; front, sides, and rear, and upper and lower zones were identified with minimum light output in each. Electrical load management was also introduced along with function coding of chassis wiring. LED lighting increased visibility, reduced power requirements, and reduced replacement intervals for lights. Generators and line voltage saw another round of safety improvements that reduced size and noise levels and allowed power ratings based on temperature for more consistent performance. Third-party testing of portable generators—attached to fixed wiring on the vehicle—provides verification that the generator operates as stated. Other safety improvements include GFCI receptacles. Scene lighting has increased for improved firefighter safety. Night visibility has improved. Work area lighting is now provided. 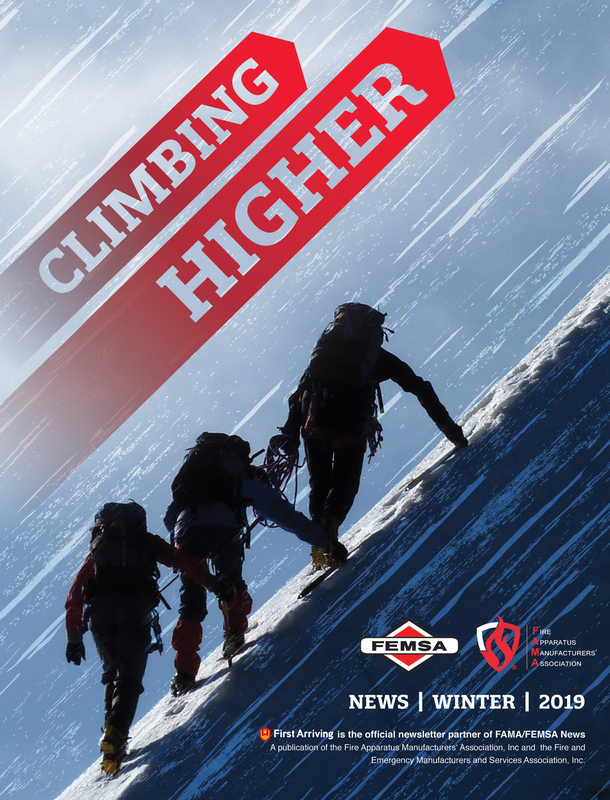 In the 2016 edition of NFPA 1901, FAMA has been instrumental in providing visible safety requirements such as new warning label specifications, standardized graphic symbols, and the Apparatus Safety Guide. The standard also defines ultra-high-pressure systems (UHP)—over 1,100 pounds per square inch—with minimum requirements for the UHP pumping systems. New revisions extend tiller cab integrity criteria to tractor-drawn apparatus cabs, providing a similar level of protection for tiller drivers as is mandated for the occupants up front. Pressure relieving caps were introduced about 10 years ago. These caps have grooves cut in the female threads that allow any trapped pressure to escape before the cap is spun off. Strength requirements for aerial platform handrails and gates have been established. Over the years, the industry has adapted numerous performance standards for handrail grip material, stepping, and walking surface slip resistance and folding step standards. Backup cameras, backup sensors, and “birds eye” view 360-degree camera systems triggered by reverse, turn signals, and parking brake inputs provide the operator with enhanced capability to see what is going on around the vehicle. Adapted from the trucking industry, forward looking radar detection systems help to avoid or mitigate the impact of rear collision accidents. These systems provide audible and visual warnings to the driver and can automatically intervene by dethrottling and aggressively applying the brakes. Space does not allow a full listing of safety features that include aerial devices and body components. 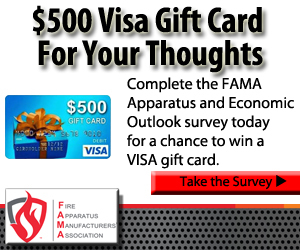 For a comprehensive review of apparatus safety through the years, go to www.fama.org. 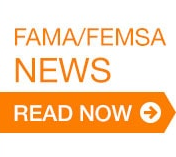 click on the Resource Library, and scroll down to the FAMA Apparatus Improvement White Paper—2016.